Databases are getting more and more important for storing complex objects from scientific, engineering, or multimedia applications. Examples for such data are chemical compounds, CAD drawings, or XML data. The efficient search for similar objects in such databases is a key feature. However, the general problem of many similarity measures for complex objects is their computational complexity, which makes them unusable for large databases. 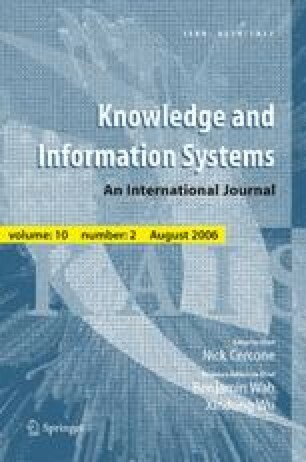 In this paper, we combine and extend the two techniques of metric index structures and multi-step query processing to improve the performance of range query processing. The efficiency of our methods is demonstrated in extensive experiments on real-world data including graphs, trees, and vector sets. Karin Kailing received her PhD from the University of Munich where she is working as a research and teaching assistant. She is currently on a leave of absence to the IBM Almaden Research Center. Her research interests are in query processing and knowledge discovery in databases. One of her focus areas is the development of new techniques for mining complex objects. Hans-Peter Kriegel is a full professor for database systems in the Department of Computer Science at the University of Munich and the department head since 2003. His research interests are in spatial and multimedia database systems, particularly in query processing, performance issues, similarity search, high-dimensional indexing as well as in knowledge discovery and data mining. He received his MS and Ph.D. in 1973 and 1976, respectively, from the University of Karlsruhe, Germany. Hans-Peter Kriegel has been chairman and program committee member in many international database conferences. He has published over 200 refereed conference and journal papers. In 1997 Hans-Peter Kriegel received the “SIGMOD Best Paper Award” for the publication and prototype implementation “Fast Parallel Similarity Search in Multimedia Databases” together with four members of his research team. Martin Pfeifle works as a research and teaching assistant in the group of Prof. Dr. Hans-Peter Kriegel. The research interests of Martin Pfeifle include database support for virtual engineering, with a strong emphasis on spatial index structures and similarity search in spatial databases. Furthermore, he is interested in the area of knowledge discovery in databases, especially in density-based clustering. Stefan Schönauer currently is a Post-Doc at IBM Almaden Research Center in the reasearch group of Rakesh Agrawal. He received his MS and Ph.D. in 1999 and 2004, respectively, from the University of Munich, Germany. His research interests are in similarity search and data mining in complex objects, content-based image retrieval and bioinformatics. He is a member of ACM SIGMOD.